The gemstones: Sodalite, and Lapis Lazuli. 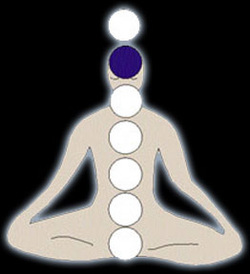 The Brow Chakra is above the physical eyes on the center of the forehead. This is the center for psychic ability, higher intuition, the energies of spirit and light. It also assists in the purification of negative tendencies and in the elimination of selfish attitudes. Through the power of the sixth chakra, you can receive guidance, channel, and tune into your Higher Self. When this chakra is not balanced you may feel non-assertive, afraid of success, or go the opposite way and be egotistical. Physical symptoms may include headaches, blurred vision, blindness, and eyestrain. When this chakra is balanced and open you are your own master with no fear of death, are not attached to material things, may experience telepathy, astral travel, and past lives. 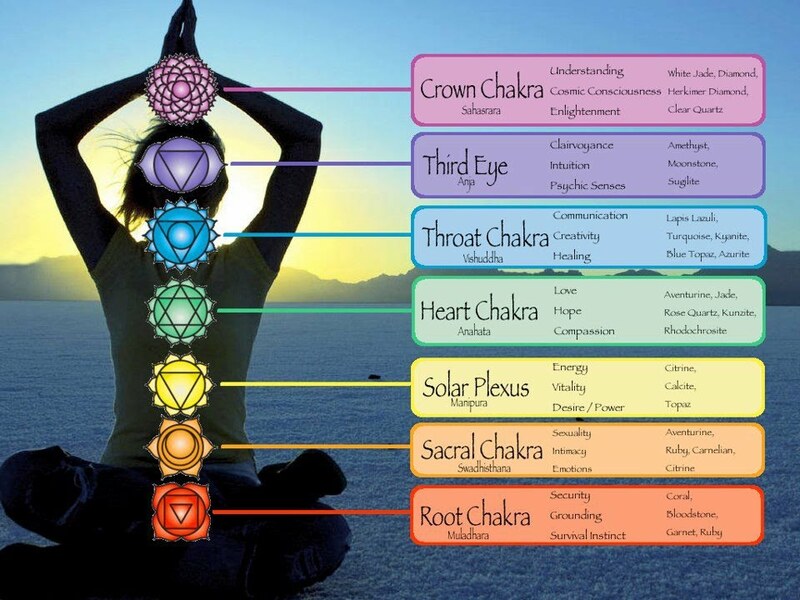 Sixth chakra body parts include the eyes, face, brain, lymphatic and endocrine system.